Leipzig, Germany: Amalthea-Verlag, 1928. 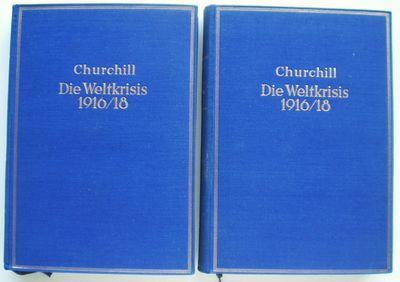 This is a very good two volume hardcover set in the original publisher's blue cloth ruled and titled in gilt. Gilt on spine of volume two faded. Very clean inside and out. Previously owned by a German scholar and his name stamped and handwritten on endpapers and title-pages, otherwise clean throughout. Text in German. Fold-out maps + black & white illustrations. 10" high X 7" wide, 297 & 299 pages. These books will be securely wrapped and packed in a sturdy box and shipped with tracking.. Cloth. Very Good/No Jacket.